More 4? No. No More. 4. Channel 4 has canned its radio projects, in a cost-cutting move reportedly saving the broadcaster £100 million. Fifteen jobs are to go immediately, with a question mark over the future of former head of BBC Radio 5 Live Bob Shennan, who joined to head up C4's radio projects last year. 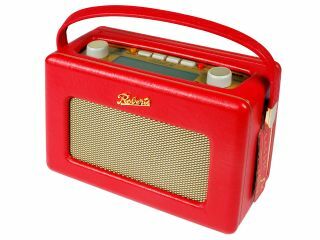 The broadcaster was to launch a series of radio stations, including a competitor to BBC Radio 4, and youth music channel E4 Radio, as part of a second digital radio platform that would carry a host of other new channels. Planned stations included E4 Radio, the Radio-4-a-like Channel 4 Radio, and music station Pure4. The move follows GCap Media's canning of its own DAB stations earlier this year, including TheJazz. Channel 4 chief executive, Andy Duncan, said: "We've taken this decision very reluctantly. "We've pursued our radio plans in good faith and continue to believe DAB has a strong future and that we could make a return from radio in the medium term. "Frustratingly, our plans have been overtaken by a drastic recent downturn in our revenues and we will have to forgo this future profit stream."